It's back for another year! 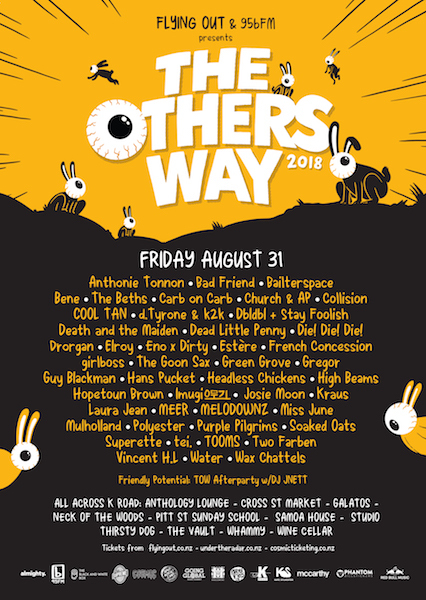 The Others Way is set to take place on Friday August 31 across Auckland's Karangahape Road - with over 45 acts across multiple venues. Important! - If you have tickets they need to be exchanged for wristbands prior to entering venues. Wristbands will be available for collection from Flying Out (80 Pitt Street) from Wed 29th Aug to Friday 31st Aug (9pm). Celebrating the best in alternative music from across the country (and a few from around the globe) The Others Way sees 45 acts, 13 venues and an after party. 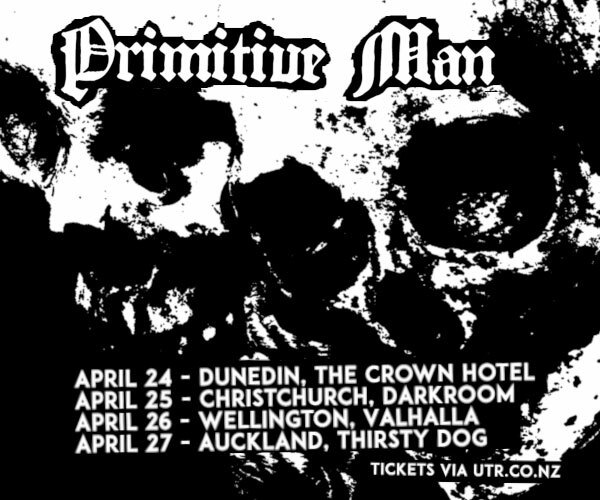 All of this taking place across a number of fine K Road establishments including Anthology Lounge, Cross St Markets, Galatos, Neck of the Woods, Pitt St Sunday School, Samoa House, The Studio, The Thirsty Dog, Whammy, The Wine Cellar, The Vault. * Event is R18 - please bring ID. You must wear your wristband to get into the venues. No wristband - no entry. * Tickets are non-refundable and non-transferable. 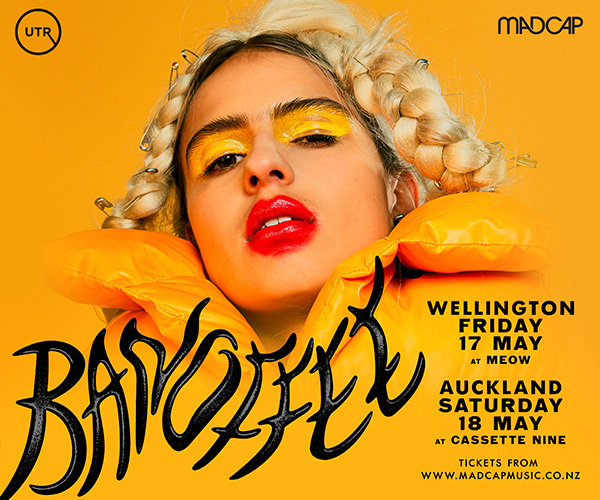 * Entry to all venues is via Wristbands, which are available for collection only on the week of the show from Wednesday August 28 - Friday August 31 from the Flying Out Shop (80 Pitt Street, Auckland). Available up until 9pm August 31 2018. *The Pitt Street Sunday School is an All Ages stage - which is also open to the general audience from 7pm. Entry preference will be given to all ages wristband holders for this stage. * Aim to get the wristband as early as possible as K Road will be busy. We will do everything to schedule the event to avoid clashes and venues being at full capacity, but please be aware from time to time you may need to wait in line to get into a venue. If there is an act you absolutely can't miss - make sure you get to the venue in plenty of time. * The full schedule will be published a week before the event.